Cava Antigua is committed to the meticulous production of hand-crafted tequila. We rigorously hand select and harvest only the highest quality mature blue weber agave. These agaves are up to 10 years old and are grown in the Los Altos (highlands region) of Jalisco. The soil in this region is know for its fertility and naturally high iron content, which helps to create the highest percentage of quality sugars.. The agave is cooked in a stone oven along with slow steam in an autoclave. The maturation and aging process is carried out in new barrels of American white oak and French oak designed for us exclusively with a secret toasting method. Master distiller, Don Jose Francisco Villegas, is the third generation in a tequila dynasty. 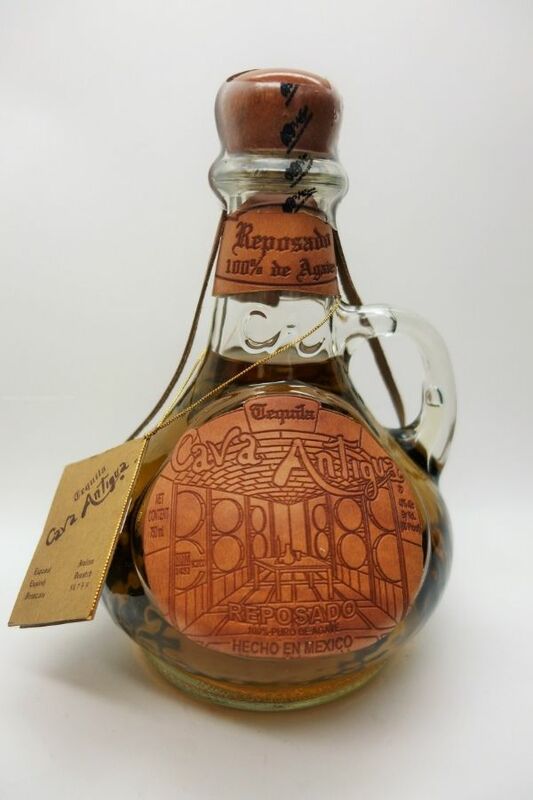 With his expertise and patience this tequila is produced and perfected with double distillation in stainless steel pot stills. Don Jose's small batch distillation process is crucial in order to have a perfect balance. Appearance: gold hues, light amber color with a medium to full body. Aroma: chamomile, white chocolate, dried prunes, vanilla, stone cooked agave, almonds, lightly toasted oak. Taste: caramelized apple and cinnamon. Finish: incredibly smooth with a hints of agave, balanced oak and bittersweet.